They do a great job. I have serviced many Toyota's here. I also have purchased many Toyota's here as well. I love the place. They have a very big selection of cars in the lot. The employees are very nice and help you with all of your needs. This place is a bit better than Piercy & Sunnyvale. Great job guys! On April 3, 2019, I brought in my vehicle to be serviced. I was greeted, and treated with excellent customer service from Service Manager: Neil Vitro, and Assistant Service Manager: Bryan Hather. The Auto Service Dept. did a great job with the Maintenance Service; replacing the oil, and Air Filter, and Air Filter, and they fixed the tire pressure, and wheel alignment. Also, the staff was courteous, the dealership served hot coffee, and delicious donuts. In addition, the wait time as very quick, approximately an hour. 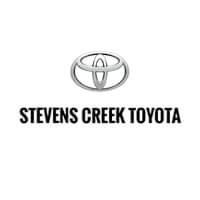 I recommend Stevens Creek Toyota Service Center as a great place to have your vehicle repaired. Once again, I truly appreciate the excellent service I received from Service Manager: Neil Vitro, and Assistant Service Manager: Bryan Hather. My vehicle is working great. Once more, thanks for your kindness, and superb service. Best regards, Rhoda D.